Lately, I have payed attention to the fact that people often put icons in their cars. These icons can be various: folding icons, triptychs and sometimes even simple images of the Cross. What is this? Is it some kind of fashion, ritual or amulet? Let us try to make it clear. Car owners especially love the images of Christ Not-Made-by-Hand, the Mother of God of Kazan and St. Nicholas the Wonderworker. 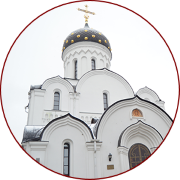 Often you can also see the images of Archangel Michael and St. Seraphim of Sarov. First of all, let us deal with the variant about amulets. It is an element of paganism. Although some drivers, who put icons in their cars, consider themselves Christians, they often act in the other way around. 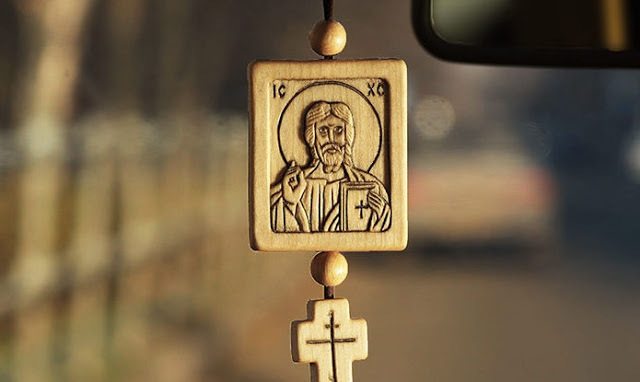 Thus icons can be placed in cars as magical or pagan elements. Paganism is revealed in this case through the attitude towards icons, which are considered to be idols. 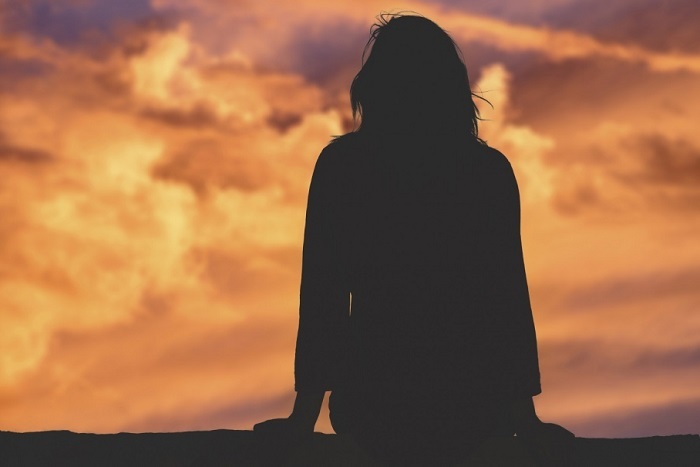 Nevertheless, no icon can save or help a person, who has no real faith in God. In Greek language the word “icon” means “image”. The image of the One Whom we address in our prayers. 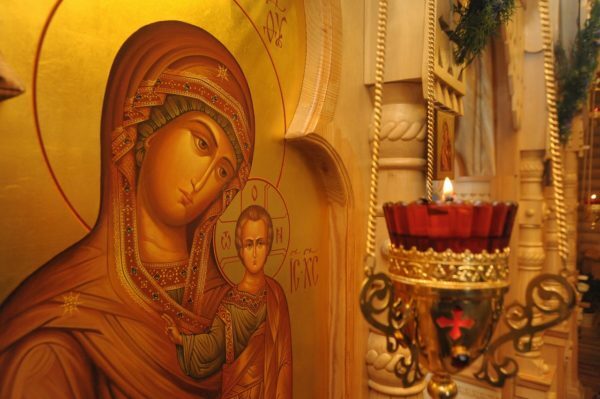 Looking at the icon, we should see the Savior, the Mother of God or saints in it. If you treat an icon like an amulet, then you will not get any help from heaven. It is not the icon itself that protects you, but the saint depicted on it. However, if drivers do not pray before the icons in their cars, and they serve them as mascots aimed to protect people during the journey. What is more, many people put icons in their cars just because other people do so. If we take a little excursion through history, we can find out that so-called “road” icons exists for about 9 centuries. And this kind of icons represents one of the iconography genres. This art is rather multi-faceted and can take various shapes, enriching the Orthodox world with such unique works of art. Moreover, among the most interesting variants of holy images there must be noted the so-called “road” or “travel” icons, which are supposed to accompany faithful people on their way. A travel icon is a small in size image, which you can easily get for the road and use for prayer. We know that such icons exist at least since the 12th century, and that the first examples of this technique, which have survived to this days, came to us from the Byzantine Empire. Earlier, only monks and pilgrims had such icons, so that they can read their everyday prayers before them. Today such an icon might be interesting for any person, who likes to travel or just spends much time on the road. The popularity of those icons grew rapidly. 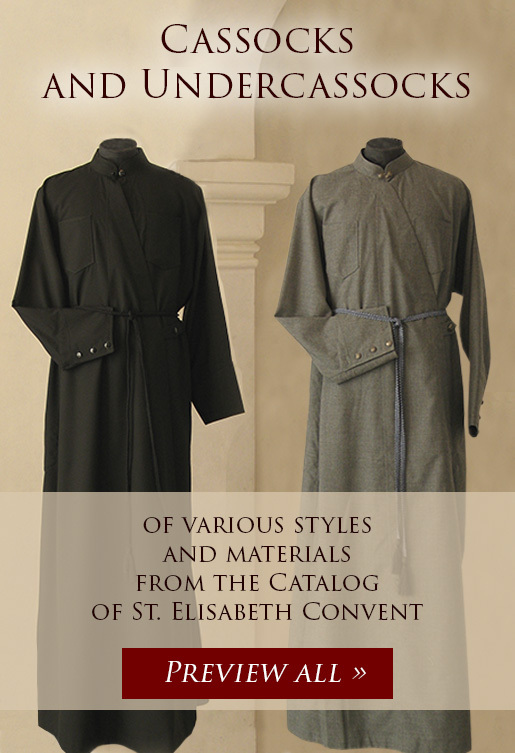 After their appearance, not only monks began to wear such images, but also soldiers, merchants, nobles and even peasants. What is more, those icons were made of three pieces (triptychs) and were worn on the chest. We can also add folding icons and special medallions to this category of icons. As a rule, until the 18th century, travel icons were made of metal. Later, after the church reform, their amount was reduced and they were replaced by the images written with oil or tempera. However, the manufacturing of metal icons was not fully stopped, and they were created until the beginning of the 20th century. Today there are various types of the road icons and even patron saints’ icons can be used for that. 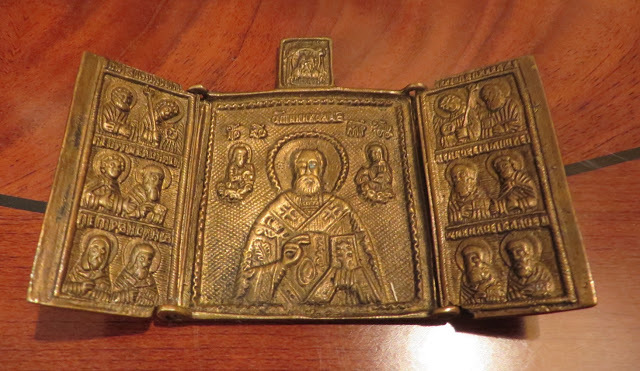 Orthodox Christians, who are used to traveling a lot and want to think about their safety, often get such images to wear them around their neck, keep in a wallet or a bag or just put them in their car. So, we can say that today we observe the second birth of these unique Christian symbols. 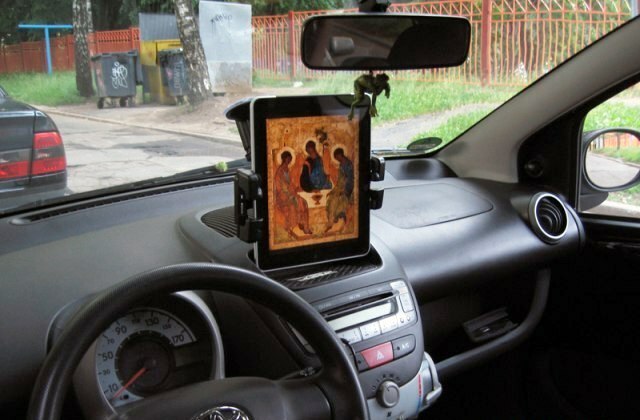 Orthodox priests approve the tradition of putting icons in cars. It is often said that the icons in a car are just like an icon corner at home, in front of which we pray when we enter the house. An icon is neither an amulet, nor mascot. It is the hope for salvation, protection and safe road. It is put in a car so that we can praise God and the Mother of God before to go and ask for a safe trip. After the ride one should cross himself, kiss the cross and sincerely thank God for everything. Travel safe by your cars and may the Lord bless your travels!